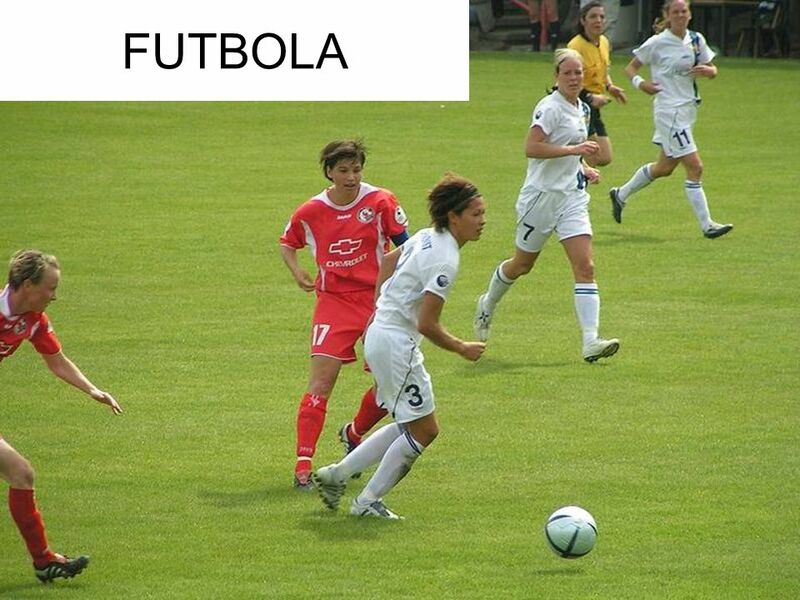 FUTBOLA. NOLA JOLASTEN DA? BI EKIPO BEHAR DIRA. EKIPO BAKOITZEAN 11 JOKALARI BEHAR DIRA. HORIETAKO BAT ATEZAINA DA. 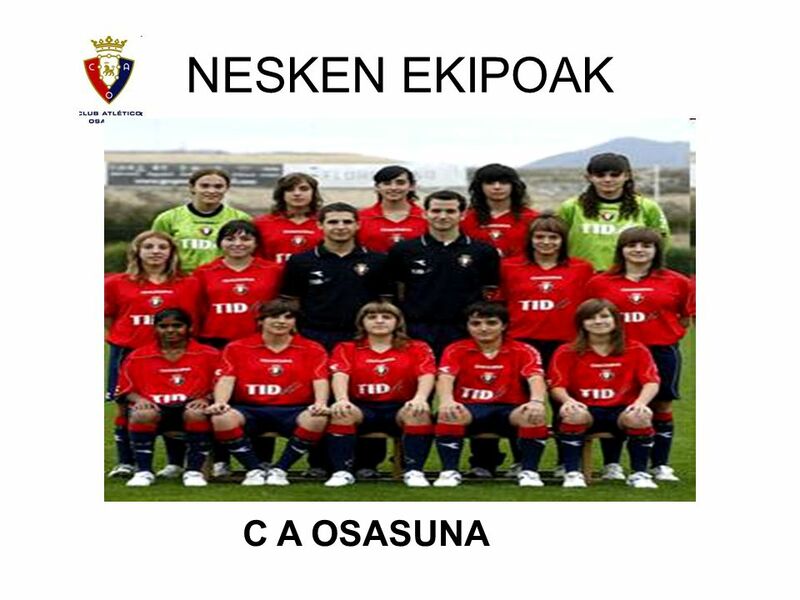 KONTRAKO ATEAN GOL GEHIEN SARTZEN. 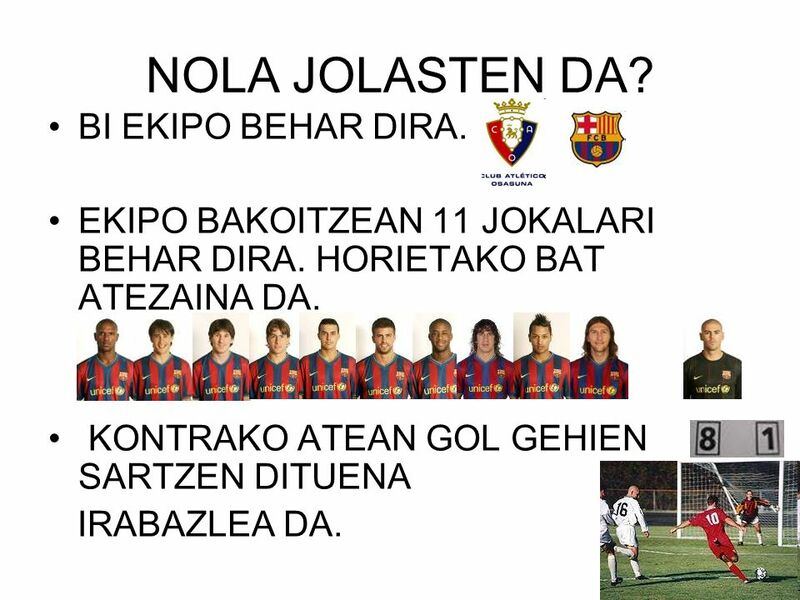 2 NOLA JOLASTEN DA? BI EKIPO BEHAR DIRA. 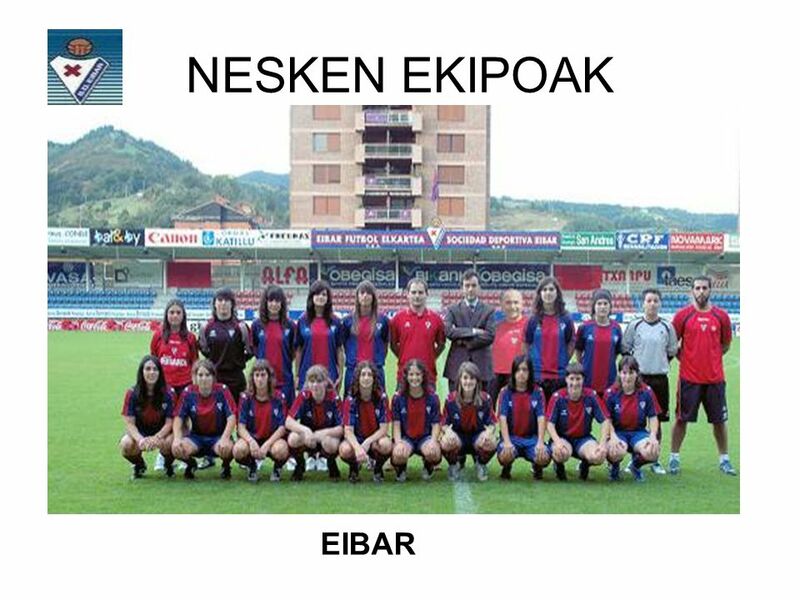 EKIPO BAKOITZEAN 11 JOKALARI BEHAR DIRA. HORIETAKO BAT ATEZAINA DA. KONTRAKO ATEAN GOL GEHIEN SARTZEN DITUENA IRABAZLEA DA. 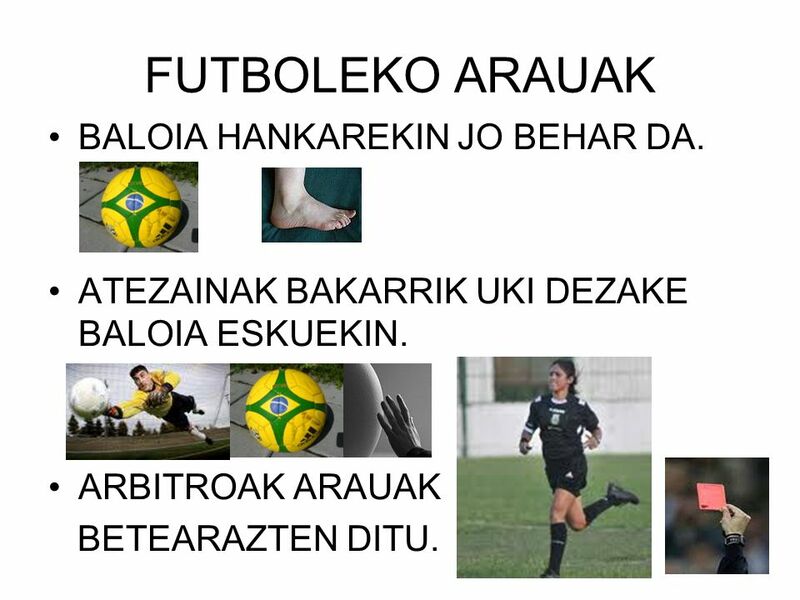 3 FUTBOLEKO ARAUAK BALOIA HANKAREKIN JO BEHAR DA. 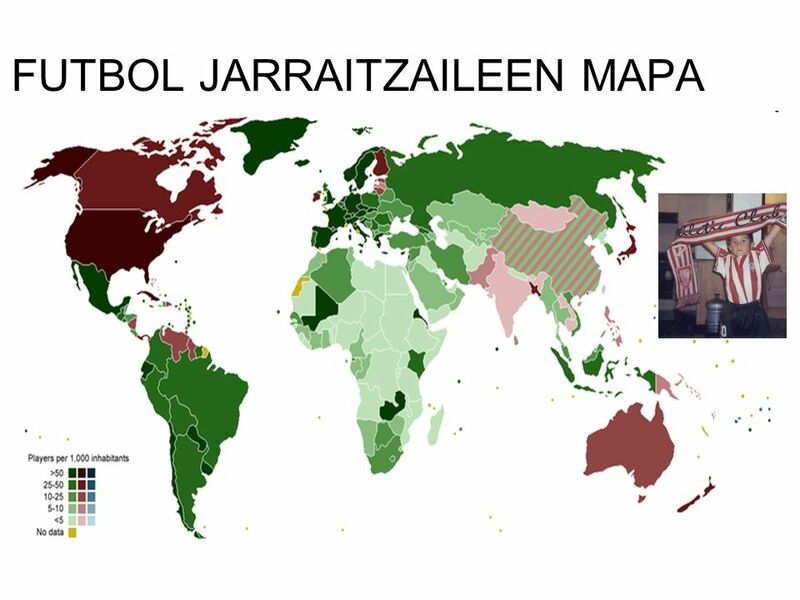 ATEZAINAK BAKARRIK UKI DEZAKE BALOIA ESKUEKIN. 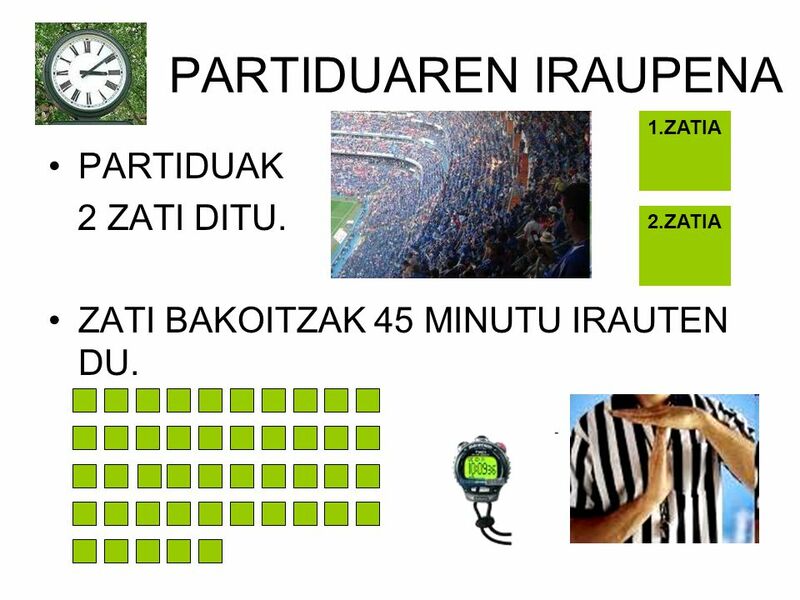 ARBITROAK ARAUAK BETEARAZTEN DITU. 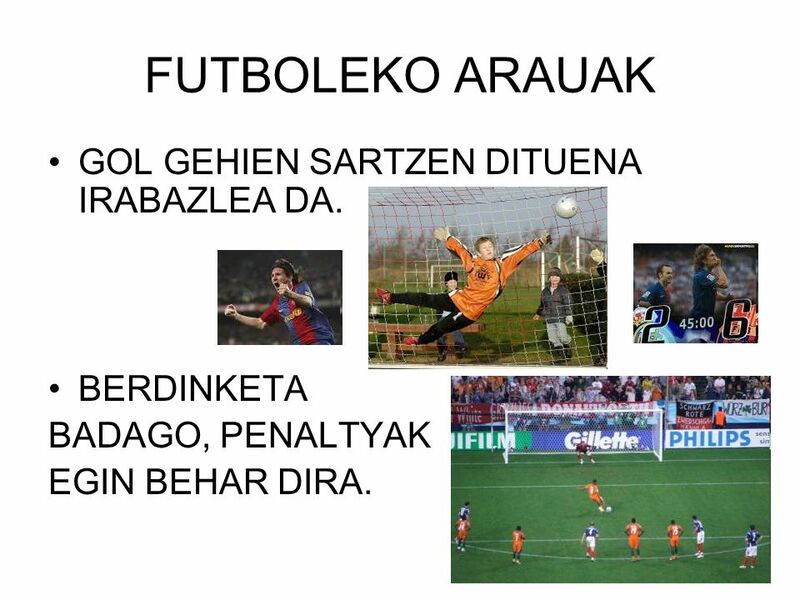 4 FUTBOLEKO ARAUAK GOL GEHIEN SARTZEN DITUENA IRABAZLEA DA. 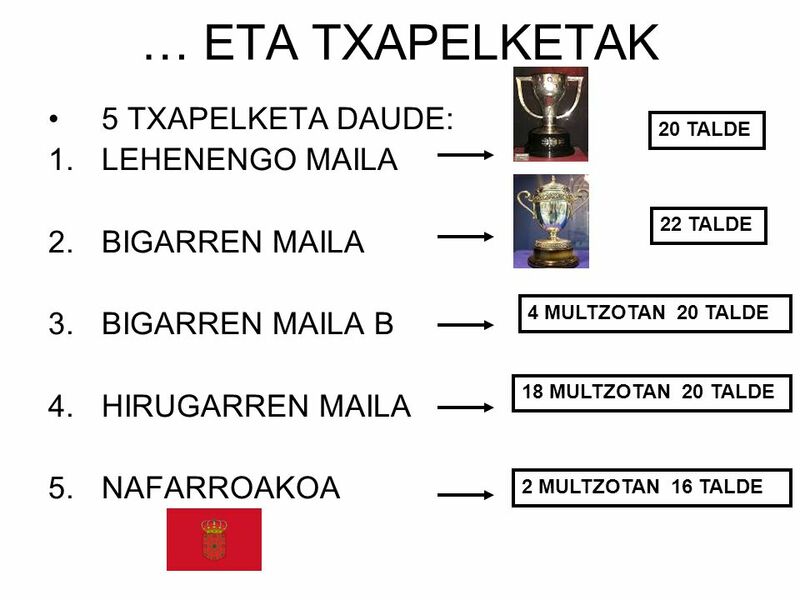 BERDINKETA BADAGO, PENALTYAK EGIN BEHAR DIRA. 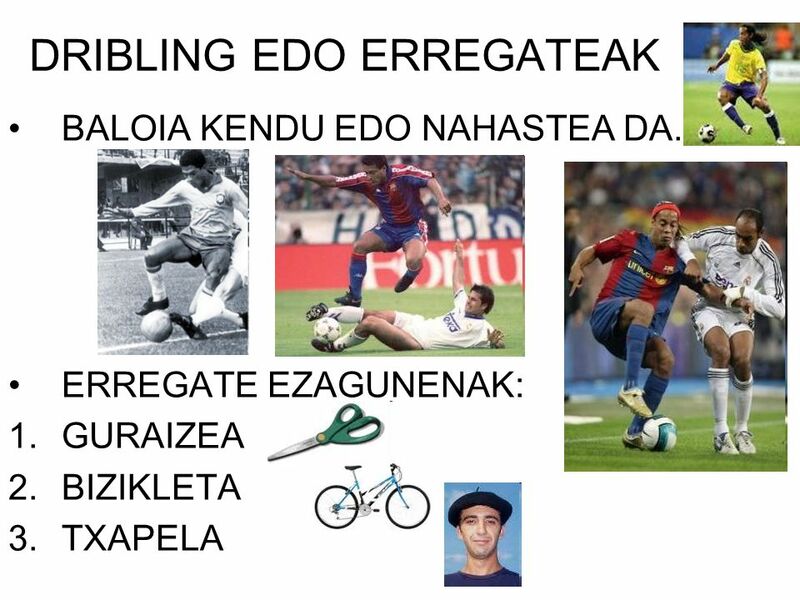 5 FUTBOLEKO HITZAK FALTA: JOKALARI BATI MIN EMATEA EDO ESKUZ UKITZEA DA. TXARTEL HORIA: FALTA ARINA. 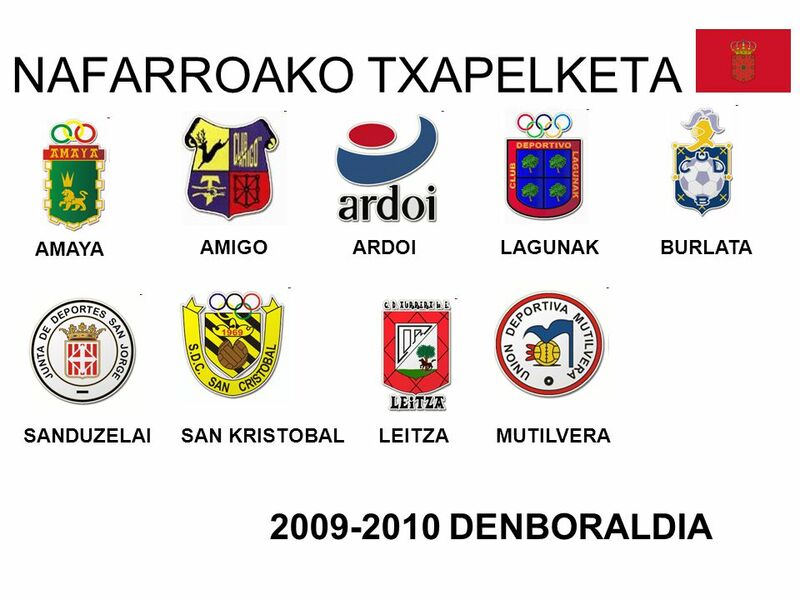 TXARTEL GORRIA: FALTA LARRIA. 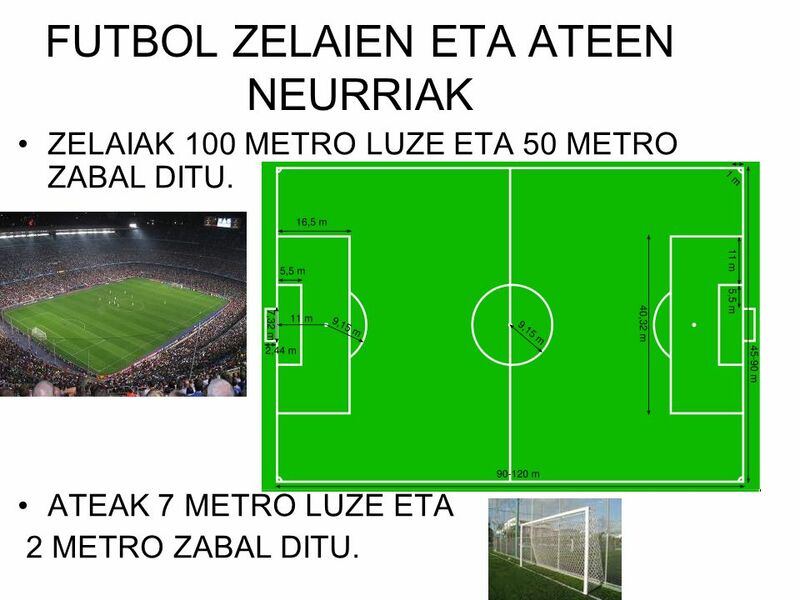 11 FUTBOL ZELAIEN ETA ATEEN NEURRIAK ZELAIAK 100 METRO LUZE ETA 50 METRO ZABAL DITU. ATEAK 7 METRO LUZE ETA 2 METRO ZABAL DITU. 12 KOPAK… MUNDUKO TXAPELKETA: 4 URTEZ BEHIN EGITEN DA. SELEKZIOAK JOLASTEN DUTE. 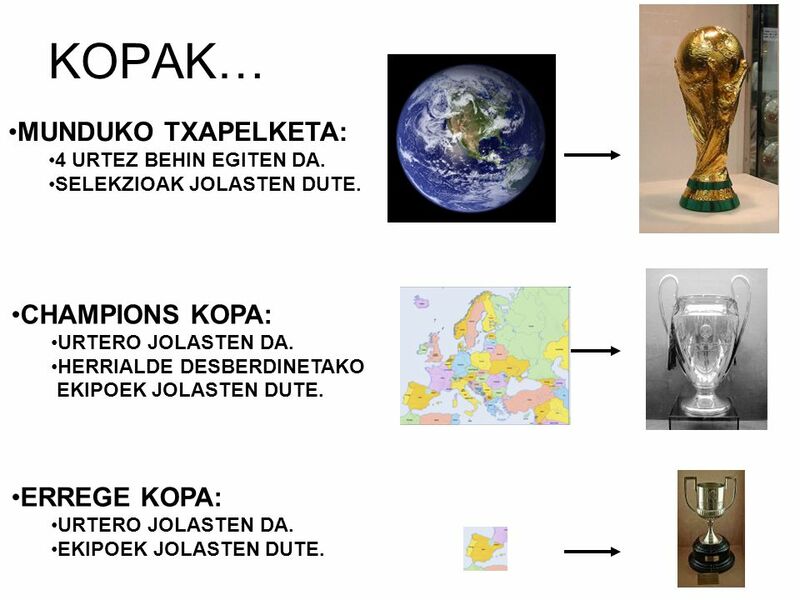 CHAMPIONS KOPA: URTERO JOLASTEN DA. HERRIALDE DESBERDINETAKO EKIPOEK JOLASTEN DUTE. ERREGE KOPA: URTERO JOLASTEN DA. 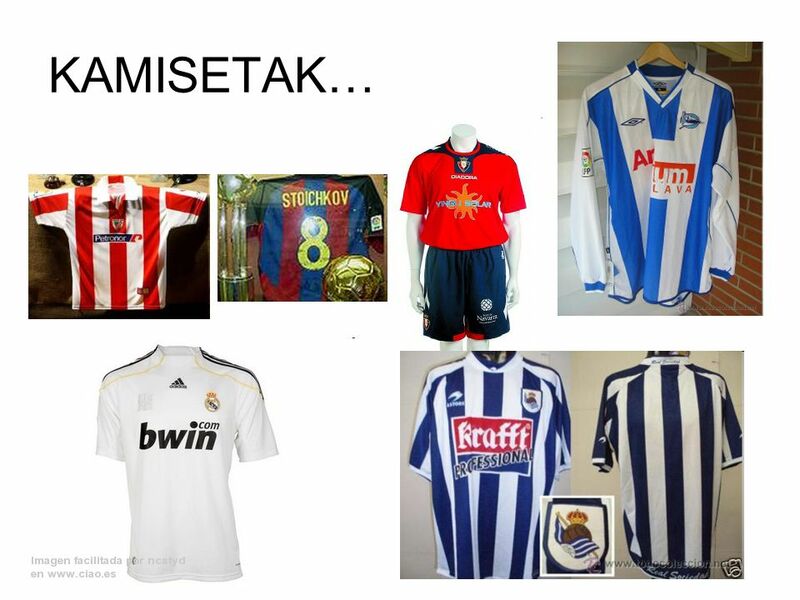 EKIPOEK JOLASTEN DUTE. 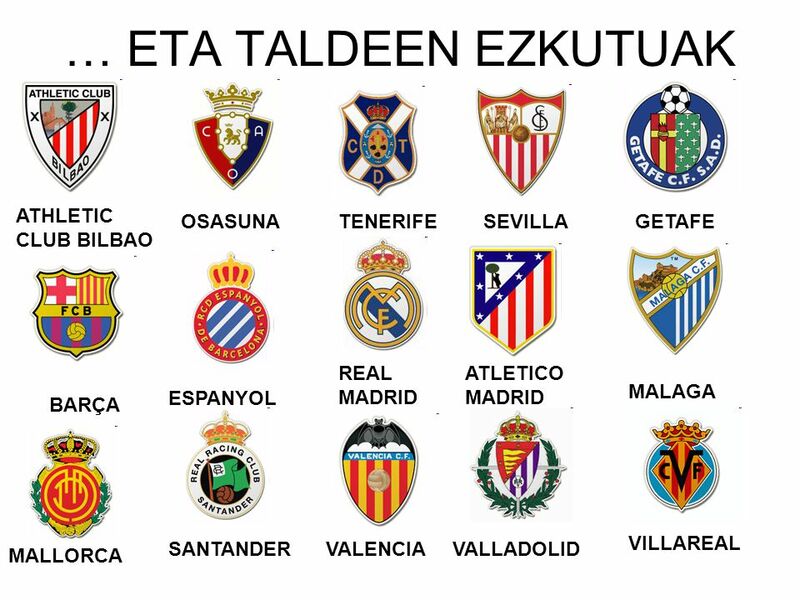 15 FUTBOLA NORK ASMATU ZUEN? 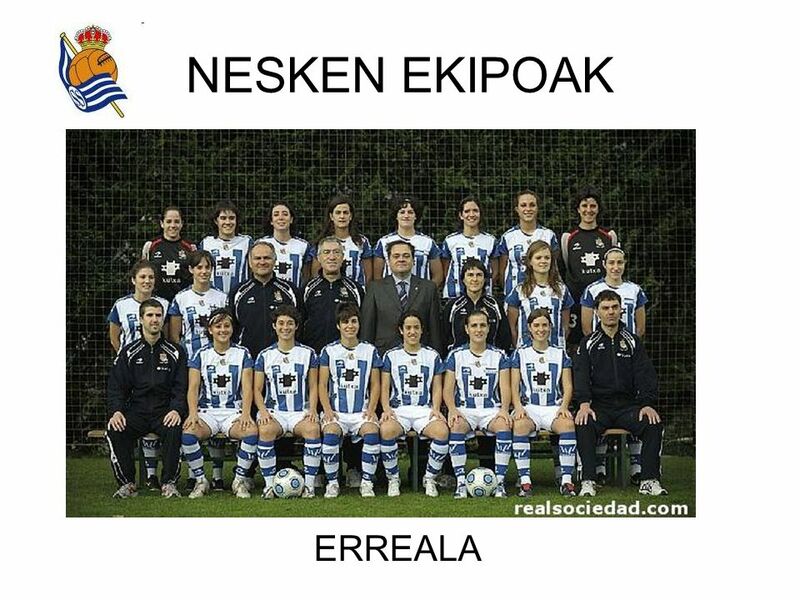 FUTBOLA INGALATERRAN JAIO ZEN. 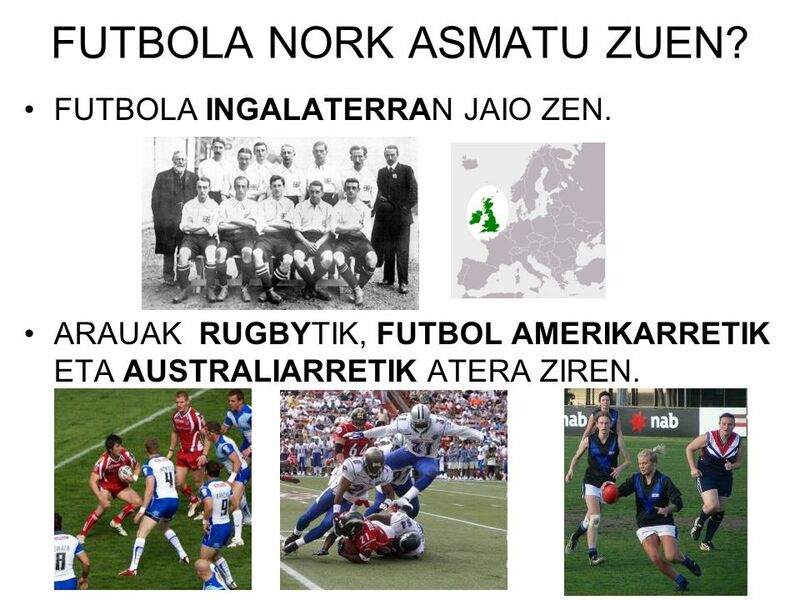 ARAUAK RUGBYTIK, FUTBOL AMERIKARRETIK ETA AUSTRALIARRETIK ATERA ZIREN. 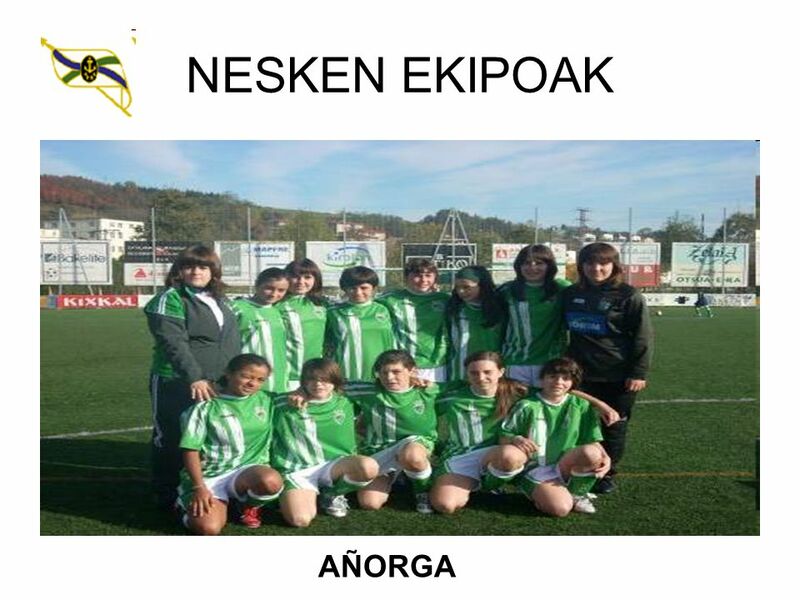 Download ppt "FUTBOLA. NOLA JOLASTEN DA? BI EKIPO BEHAR DIRA. 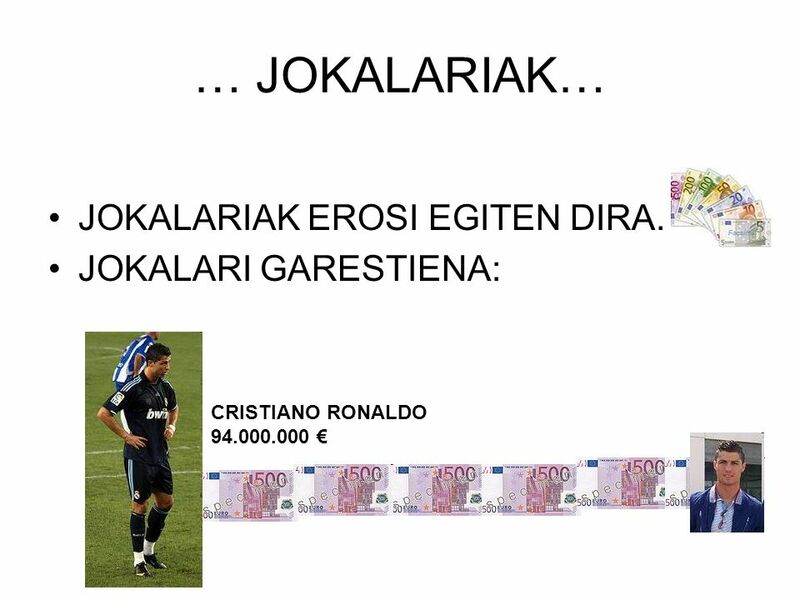 EKIPO BAKOITZEAN 11 JOKALARI BEHAR DIRA. HORIETAKO BAT ATEZAINA DA. 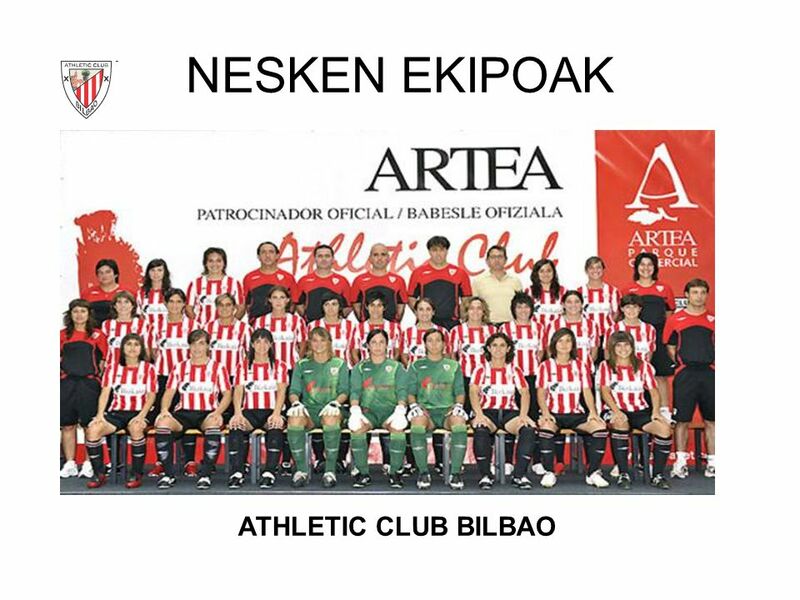 KONTRAKO ATEAN GOL GEHIEN SARTZEN." Set Up Instructions Place a question in each spot indicated Place an answer in each spot indicated Remove this slide Save as a powerpoint slide show. Addition and Subtraction Expressions © 2007 M. Tallman. 20 19181716151413121110987654321 © S Haughton 2010 1 more than 3?